In Fletcher v. Haas [1. Fletcher v. Haas (D. Mass. Mar. 30, 2012). 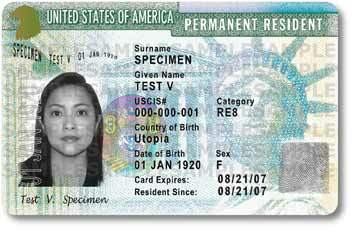 Available at http://ia600607.us.archive.org/23/items/gov.uscourts.mad.135876/gov.uscourts.mad.135876.31.0.pdf], the United States District Court for the District of Massachusetts held that Permanent resident aliens are included amongst ‘the people’ as the term is used in the Second Amendment to the United States Constitution. The individual plaintiffs in this case were Christopher Fletcher and Eoin Pryal, two british immigrants who had both been granted permanent resident alien status and who both had significant family, employment and community contacts within the United States. Wishing to possess firearms in their own homes, both Fletcher and Pryal completed the Massachusetts Basic Firearms Safety Course which is required under Massachusetts law to apply for a firearms identification card.[2. M.G.L.A. 140 §§ 121-131P] Unlike most states, in Massachusetts, a firearms identification card is required to simply “own, possess, or purchase a firearm, rifle, shotgun or ammunition.”[3. Fletcher at 2] Therefore, any denial of a firearms identification card application is effectively a complete ban on the possession of firearms. The court also did a rather brief analysis of the post-Heller level-of-scrutiny holdings. However, the court largely avoided this still-contentious area of jurisprudence by stating that the regulation in question, where lawful resident aliens are concerned, does not pass constitutional muster under any possible standard of review. While Massachusetts still remains one of the more heavily regulated states in regards to gun-rights, this decision is rightly seen as a major victory for law-abiding gun owners nationwide. Once again, we owe a great debt of thanks to the Second Amendment Foundation for taking the fight to the courts across the nation. Please give generously so they may continue this vital work. This entry was posted in Massachusetts, Resident Aliens, SAF Litigation, Second Amendment Case Law. Bookmark the permalink.